he Triggers tool allows oncologists to assess their patients’ needs in this respect at a much earlier stage, and to potentially refer them to specialist palliative care alongside active treatment. ESMO will soon publish a position paper on the need to integrate supportive and palliative care for patients, from diagnosis and throughout the course of the disease. The study included 63 drugs approved by the US Food and Drug Administration (FDA) between 2006 and 2016 for 118 solid tumour indications, of which 54 (46%) were given orphan designation. RANGE data presented at ESMO 2017 Congress Presidential Symposium and to be published in The Lancet. Keytruda, though, is the only one of the lot with overall survival data to back up its case, and it’s not for lack of trying from its rivals. The primary endpoint of investigator-assessed progression-free survival was significantly prolonged with ramucirumab plus docetaxel compared to placebo plus docetaxel (4.07 months versus 2.76 months; hazard ratio, 0.757). Mature results from KEYNOTE-045 confirm pembrolizumab significantly improves overall survival versus chemotherapy. Results show encouraging results when ramucirumab is added to docetaxel in phase III RANGE trial. Cabozantinib provided statistically significant improvement of progression-free survival, with a 52 percent reduction in the rate of progression or death compared to sunitinib. Why a surprise? Because in August, the company unveiled mixed results from the same trial. The combination also significantly improved overall survival in all randomized patients. Overall survival and post surgical complication rates were better with deferred versus immediate cytoreductive nephrectomy while progression rates at 16 and 28 weeks were not significantly different between both sequences. In CheckMate-214, combined nivolumab and ipilimumab shows considerable benefit in intermediate- and poor-risk patients with advanced or metastatic renal cell carcinoma. Significantly, the immunotherapy combination caused fewer serious side effects than Sutent, lead researcher Bernard Escudier of the Institut Gustave Roussy in France said. He believes the efficacy and safety profile mean Opdivo plus Yervoy should become a new first-line standard of care for patients with advanced disease. Patients diagnosed with melanoma, colorectal cancer, breast cancer stages I–III, non-Hodgkin lymphoma or leukaemia in 1985 to 2009, and alive in September 2015, were identified through the Cancer Registry of Norway. "The new data from the LATITUDE clinical trial suggests that abiraterone acetate plus prednisone, in combination with androgen deprivation therapy, offers a much-needed efficacious treatment option for patients with newly diagnosed metastatic disease,” said Dr Karim Fizazi. Strong responses and significantly improved QoL were observed with 177Lu-PSMA617. Prospective analysis reveals patients with mCRPC and germline mutations in DNA repair genes have a trend to poorer outcomes. STAMPEDE head to head comparison of two beneficial combinations shows similar survival. The results, based on analysis of data from the Cancer Research UK-funded STAMPEDE trial, show that standard hormone therapy combined with another hormone therapy called abiraterone (Zytiga) or a chemotherapy drug called docetaxel give comparable improvements in survival compared to standard hormone therapy alone. Previously reported data show maintenance niraparib significantly improved PFS over placebo in patients with recurrent platinum-sensitive ovarian cancer. Rucaparib delayed disease recurrence in the ITT population and across subgroups in ARIEL3 study. An analysis of BRCA and the TP53 status in patients with ovarian cancer shows disruptive TP53 mutations associate with an overall survival benefit from olaparib treatment. DCC-2618, a novel pan-KIT and PDGFRα inhibitor, shows encouraging antitumour activity in heavily pretreated patients with GIST. Final results from the EORTC intergroup randomised trial. Lower baseline VEGF, ANG2, and FGF21 serum levels showed a non-significant trend toward better outcomes with both drugs. RAI administered after surgery for the treatment of WDTC associates with increased risk of developing leukaemia and AML development associates with a significantly poorer prognosis. Biosimilar GP2013 demonstrated an equivalent overall response rate compared to the reference drug rituximab in the ASSIST-FL study. Targetable oncogenic drivers of several tumours identified that may also associate with TKI response. Patient experience according to HRQoL questionnaire does not mirror investigator toxicity reporting for many symptoms. Comprehensive genomic profiling identifies varied genetic alterations in thymic gland carcinoma that may be treated with targeted and immunotherapy therapies. Genomic variants identified by NGS of ctDNA that have clinical implications regarding choice of treatment. Using information from national cancer registries, the study recorded 811 solid cancers in the women and showed that the ratio of abdominal fat to peripheral fat was a significant independent predictor of cancer diagnosis up to 12 years after baseline. 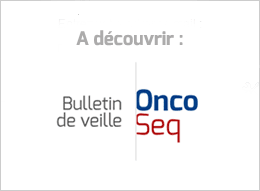 MAPS2 was an academic, Intergroupe Francophone de Cancérologie Thoracique (IFCT)-sponsored, non-comparative randomised phase II trial of two checkpoint inhibitors in patients with MPM who had relapsed after one or two lines of pemetrexed and platinum chemotherapy. Conducted on behalf of Bristol-Myers Squibb, the study evaluated decisions by authorities in 11 European countries and Canada on anti-cancer medicines approved by the European Medicines Agency and Health Canada between 2006 and 2016 for six tumour types. Approximately one-quarter of stage III lung cancer patients do not respond to initial chemotherapy and radiation. They’re excluded from the PACIFIC study. Had they been included, the outcome seen with the Imfinzi and placebo arms of the study might have looked more similar, he says. “The bar to filing/approval is typically much higher” in Europe than it is in the U.S., increasing the importance of positive overall survival data. If Tagrisso can nab a first-line EGFR nod, it would move into earlier stages of treatment and expand its eligible patient pool, which is currently limited to patients with an abnormal T790M gene, after they’ve failed on other treatments. AstraZeneca—which will be alone in the market for a good two to three year, Anderson predicts—is in prime position to benefit. The opportunity in the G7 markets tallies about 47,000 patients, he estimates. FLAURA was a randomised phase III clinical trial comparing osimertinib to standard of care erlotinib or gefitinib as first line therapy in NSCLC patients with EGFR exon 19 or 21 mutations. The primary endpoint was progression-free survival. Interim results from the PACIFIC Trial. Soriot demurred on giving his own estimate of what that is worth, sticking with the company’s ballpark figure of $1 billion-plus. But he also cited a market consensus that a win in this group could spur sales of more than $2 billion a year. Overall, the patients derived more benefit from chemotherapy designed to treat NSCLC than from chemotherapy for SCLC. Three-fourths of patients with previously untreated BRAF V600E–mutated NSCLC, receiving a combination of a BRAF inhibitor dabrafenib plus a MEK inhibitor trametinib, achieved complete or partial response or stable disease by investigator assessment and independent review. The risk of progression was reduced with osimertinib compared to SoC in patients with advanced NSCLC and EGFR mutations. Analysts believe using Imfinzi in so-called stage III lung cancer opens up an annual sales opportunity worth around $2 billion. Importantly, AstraZeneca has a lead of two to three years over rivals in this particular area. Opdivo decreased the risk of disease recurrence by 35% compared to Yervoy. The company also hopes to add to Opidvo’s list of approvals, and moving the therapy into the post-surgery setting could add around $1 billion in potential sales, though some of that would come from patients who might otherwise have used Yervoy. This new analysis centered on a cohort with advanced melanoma who had not been previously treated with immunotherapy meds in the PD-1/L1 or CTLA4 classes. The study did not meet its primary endpoint of significantly reducing the risk of recurrence (disease-free survival; DFS) in patients with stage IIIC melanoma (cohort 2); however, a 46% reduction in recurrence risk was observed in stage IIC-IIIB patients (cohort 1). COMBI-AD is the first clinical trial of targeted therapies for adjuvant treatment of stage III melanoma. All patients had a BRAF mutation – 91% harboured a V600E mutation and 9% had a V600K mutation, which is the typical distribution in clinical practice. The finding represents an advance for so-called PDx drugs in treating cancer at an earlier stage, before it has spread around the body. At present, the use of such drugs, which help the immune system fight tumors, is confined to metastatic disease. The findings suggest Novartis is gaining the upper hand in expanding its combination therapy’s use against advanced, high-risk skin cancer for which there is a distinct risk of the potentially deadly tumors emerging elsewhere on the body. Neoadjuvant treatment with letrozole/palbociclib provides low pathogical response rates but promising clinical results in luminal breast cancer. ExteNET at 5 years demonstrates significant clinical benefit following one-year of neratinib administered after one year of trastuzumab-based adjuvant therapy. In LORELEI, PI3K inhibition increased neoadjuvant letrozole efficacy in women with and without tumours harbouring a PIK3CA mutation. Data from the REFLECTIONS B327-02 study demonstrates equivalence in objective response rate (ORR) for patients with HER2-positive metastatic breast cancer. “We think there are going to be recognizable, concerning characteristics” among patients “for whom abemaciclib might be an interesting addition to the treatment armamentarium for oncologists treating breast cancer." TIL levels in tumour samples associate with PD-L1 expression and pembrolizumab response in metastatic triple negative breast cancer. Induction therapy with (low dose) chemotherapy or irradiation before nivolumab is feasible in triple negative metastatic breast cancer. Improved progression-free survival seen in phase III, MONARCH 3 trial. Where it gets troublesome for Eli Lilly, though, is on the side effect data. NGS reveals potential genomic markers of recurrence in locally advanced TNBC. The study (MONARCH 3) included 493 patients from 22 countries who had never been treated for metastatic disease. The primary endpoint was progression-free survival. Abemaciclib, like Pfizer’s Ibrance and Novartis’s Kisqali, belongs to a class of oral medicines called CDK 4/6 inhibitors that block cancer cells’ ability to divide and proliferate. PD-L1 staining in patients’ samples may be prognostic of survival in glioblastoma. Updated safety results from CheckMate 143 support further study in patients with newly diagnosed glioblastoma. Some heavily-pretreated patients derive clinical benefit from single agent pembrolizumab treatment. Such analysis to measure what is known as tumor mutation burden (TMB) should lead to better targeting of medicines that have a typical list price of near $150,000 a year. It could also mean subgroups of patients with tumors where immunotherapy is not normally considered, like breast cancer, might get them. Addition of SIRT to FOLFOX +/- Bevacizumab did not improve OS or PFS overall in patients with mCRC and inoperable liver metastasis. Response Rate of 32 Percent Among Patients with Relapsed, Recurrent and/or Metastatic Cervical Cancer. Patients receiving fosaprepitant added to palonosetron and dexamethasone showed less impairment of daily functional life due to nausea. After a median follow-up of 58.5 months, the primary endpoint occurred in 30% of patients in the chemotherapy/surgery group and 23% of patients in the chemoradiation group.